Looking back towards Peterborough, you can just about make out Sage’s Tower on the far left. Walton station only served the Midland Railway even though the Great Northern Railway’s main line ran alongside it to the left of the image. This came about as part of a deal between the two companies whereby the MR helped in the construction of the GNR in this area in return for freedom to operate passenger services on this section without competition. 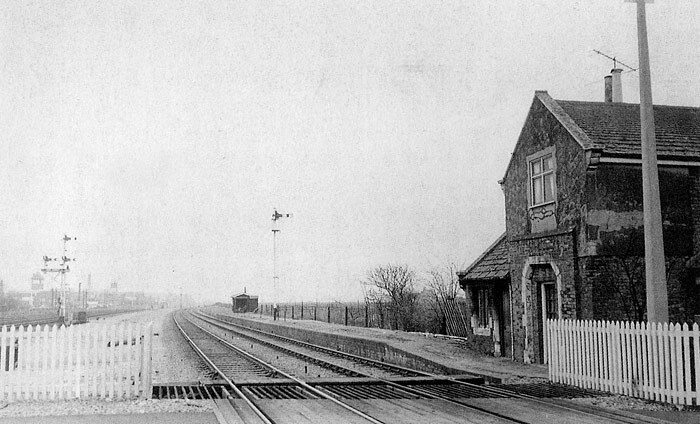 Walton closed as a working station in 1961.